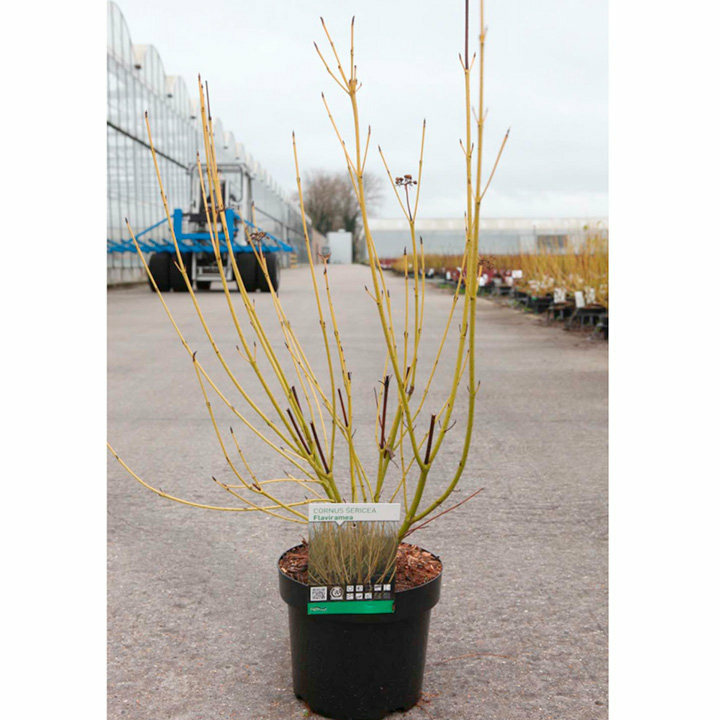 Cornus sericea 'Flaviramea' has multi-stemmed branches of yellowy-green. Oval leaves of green, turn to bright red autumn foliage. Flowers are white clusters forming a flat-topped umbel, followed by berries of white in autumn. 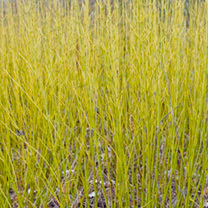 Cornus sericea 'Flaviramea' can be grown in waterside banks, as soil erosion control, as they can tolerate damp conditions. 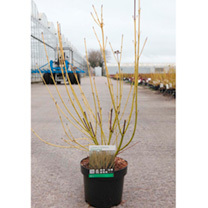 A versatile dogwood, happy to grow in many environments. RHS Award of Garden Merit winner. Height 301cm+. 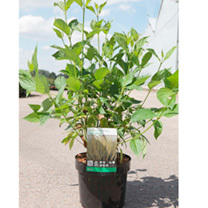 Supplied in a 3 litre pot. 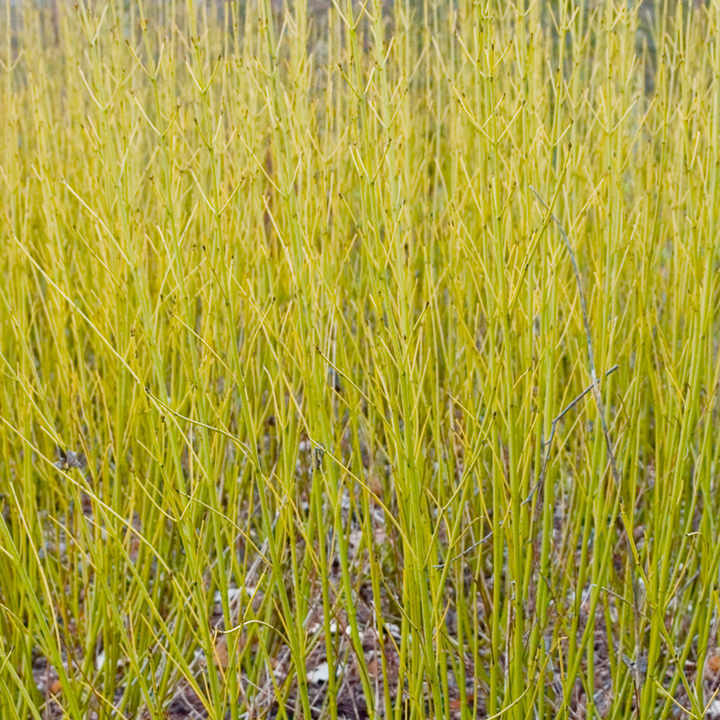 Can be grown in waterside banks, as soil erosion control. 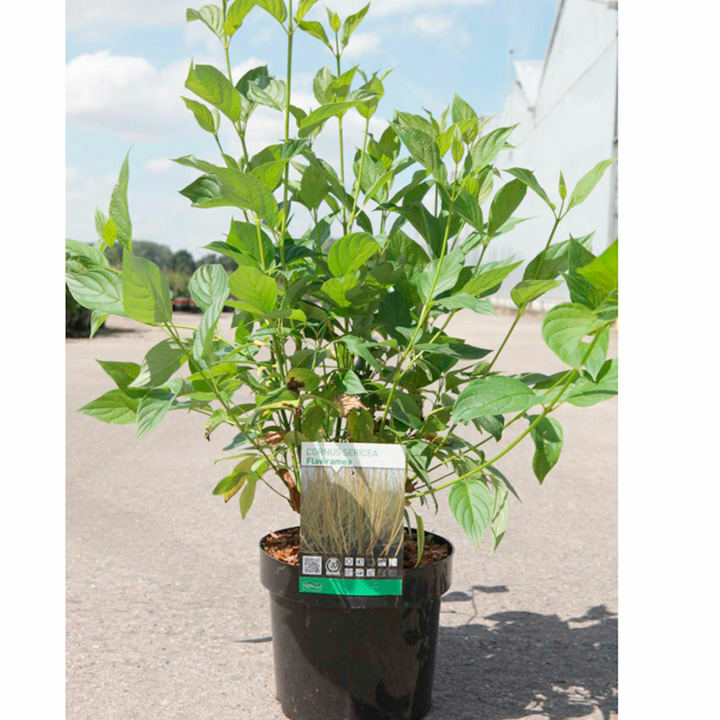 Best planted in full sun or partial shade in well-drained to poorly-drained, neutral to acidic soil.